This recipe for Tortilla Crusted Tilapia couldn’t be any easier. 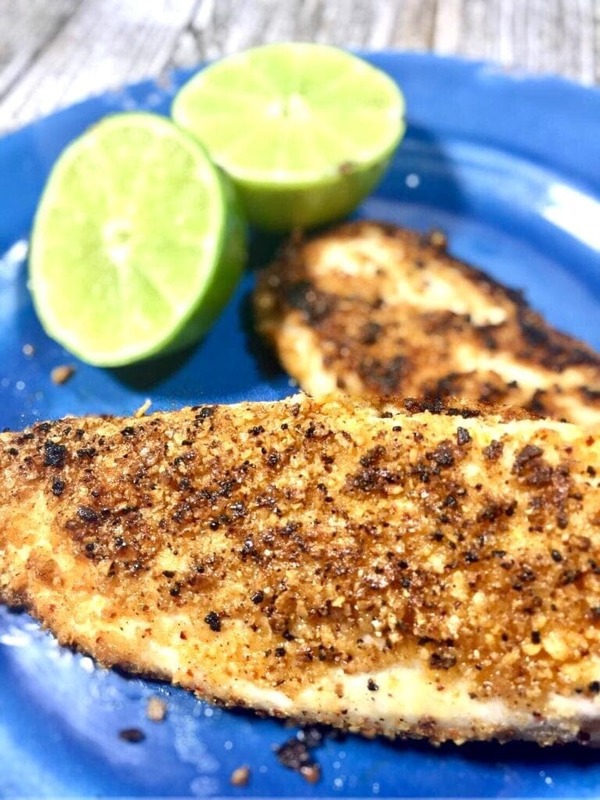 Only 4 ingredients you’ll be able to serve this deliciously spicy, crunchy tilapia in under 30 minutes. 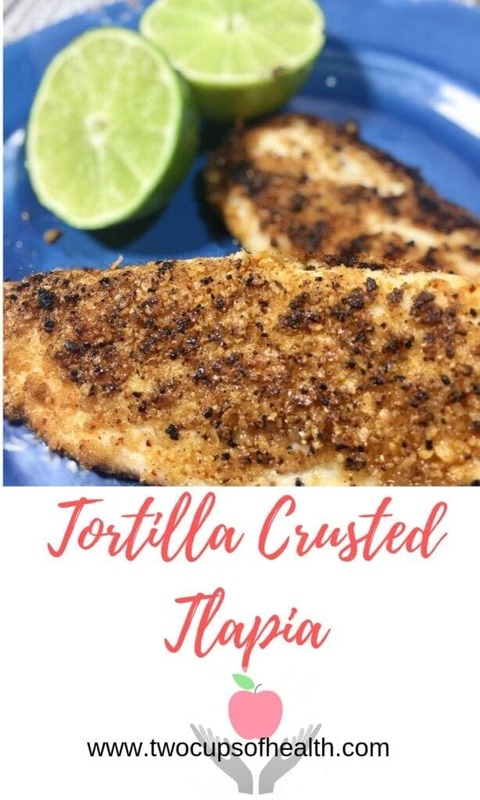 Years ago I used to buy Tortilla Crusted Tilapia at Costco and it was good. But after doing research for my book Natural Healing Foods, I began to pay more attention to carefully studying the ingredients listed on the food I was buying. That tilapia had a huge list of ingredients, some of which were unpronounceable. And knowing what I know now, that’s a definite red flag for me. So from that point on I decided simpler was better. Like this Tortilla Crusted Tilapia. Just 4 ingredients and the taste far surpasses the packaged version. It’s fresher tasting and crispier with a spice level that you can control. First grind the tortilla chips in a processor. Depending on the size of your chips, you’ll need about 24 chips which will yield about 1/4 cup. Then add the Chile Lime Seasoning to the ground tortilla chips and add the mixture to a plate. I really love this fresh tasting, spicy seasoning. It’s a perfect blend of Mexican spices with Chile powder, red bell peppers and lime juice powder. 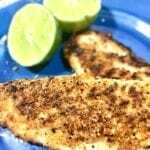 Then drizzle a little olive oil over both sides of the tilapia fillets and dredge each side in the tortilla mixture. Spray a baking dish with oil, add the filets to the dish and place it in a preheated 375 degree F oven for 23-25 minutes. The tilapia will be browned and crispy like they’ve been deep fried. Only much healthier. Add 20-25 tortilla chips to a food processor. This should yield about 1/4 cup of ground crumbs. Mix the crumbs with the Chile Lime Seasoning and add the mixture to a plate. 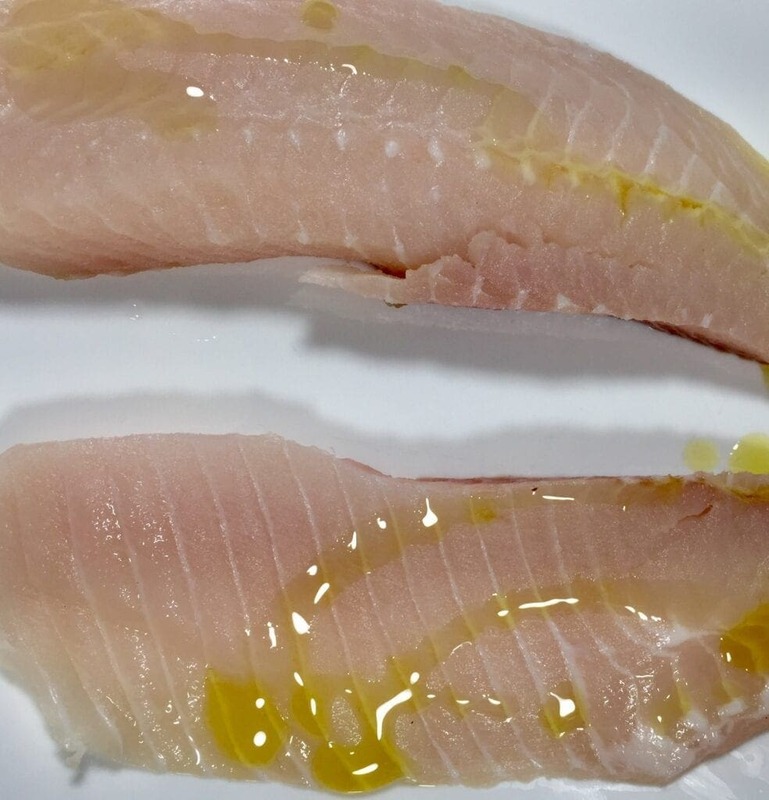 Drizzle Tilapia fillets with olive oil on both sides. Then dredge the fillets in the spicy tortilla crumb mixture on both sides. Add the fillets to a lightly oiled baking dish and bake it in the oven for 23-25 minutes. Hi! I'm Pam, and I'm a self-confessed Foodie. I love food, especially healthy food from the source. I have also written a book on Natural Healing Foods as well as several ebooks. Welcome to my kitchen!